NAPOLEONIC PRUSSIAN CUIRASSIERS NOW AVAILABLE! Posted 10/10/2017 by frontrank & filed under Uncategorized. Napoleonic Prussian Cuirassiers are now available! 3 new Prussian Cuirassier Reinforcement packs + 2 Reinforcement Sets. To see the new 28mm Napoleonic Prussian Cuirassiers painted by Richard Abbott please visit our gallery pages. 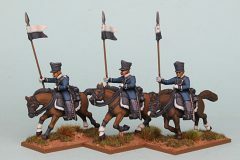 NAPOLEONIC PRUSSIAN LANDWEHR CAVALRY NOW AVAILABLE! Posted 05/09/2017 by frontrank & filed under Uncategorized. 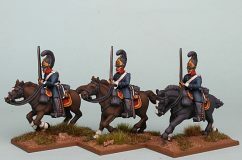 Napoleonic Prussian Landwehr Cavalry are now available! 3 new Prussian Lnadwehr Cavalry Reinforcement packs + 2 Reinforcement Sets. To see the new 28mm Napoleonic Prussian Landwehr Cavalry painted by Richard Abbott please visit our gallery pages. Posted 25/07/2017 by frontrank & filed under Uncategorized. Richard Abbott has been busy painting more of our 28mm Napoleonic Prussian Reinforcement packs PSNRPK22, 23 & 24 – PRUSSIAN DRAGOONS. 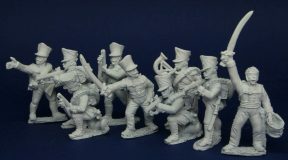 Napoleonic Prussian Dragoons now available! Posted 19/06/2017 by frontrank & filed under Uncategorized. 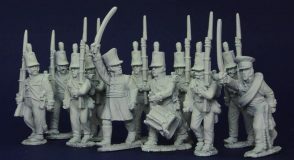 Napoleonic Prussian Dragoons are now available! 3 new Prussian Dragoon Reinforcement packs + 2 Reinforcement Sets. Posted 04/05/2017 by frontrank & filed under Uncategorized. Napoleonic Prussian Schutzen/Jagers are now available! 2 new Prussian Reservist Reinforcement packs + 1 Reinforcement Set. 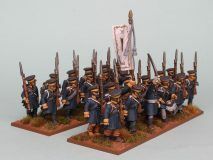 Napoleonic Prussian Reservists are now available! 3 new Prussian Reservist Reinforcement packs + 2 Reinforcement Sets. Posted 15/02/2017 by frontrank & filed under Uncategorized. Richard Abbott has been busy painting more of our 28mm Napoleonic Prussian Reinforcement packs PSNRPK13 – 16 – PRUSSIAN LANDWEHR. 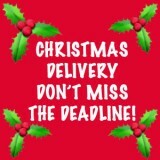 Don’t forget to place your Christmas 2016 orders soon! Wednesday 30.11.16 ~ Japan & Russia. Friday 2.12.16 ~ Australia, New Zealand & Greece. Wednesday 7.12.16 ~ Czech Rep, Germany, Italy & Poland. Thursday 8.12.16 ~ Canada, Finland, Sweden & USA.